Mind Maths Trainer is a question generator provides popping up questions (Flash Anzan) and audio listening calculation (Aural Test). It targets on specific FOUR abacus addition and FOUR abacus subtraction techniques. Reports for tracking test results, exercises and answers in PDFs are available. 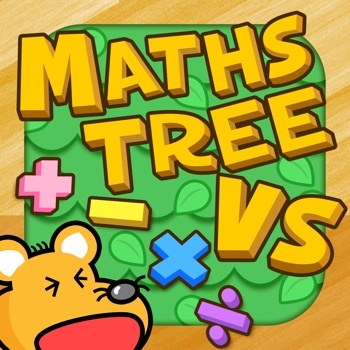 Mind Maths Trainer provides popping up questions (Flash Anzan) and audio listening calculation (Aural Test). It focuses on specific FOUR abacus addition and FOUR abacus subtraction techniques too. It provides a whole range of options that can be flexibly selected to fit the drilling needs. The immense pool and combination of questions enhance the learning interest. Exercises can be customised on combination of any four addition and four subtraction techniques. Two modes are designed to fit different learning needs. Practice mode supports endless number of questions with no time limit, with the purpose of accuracy. Challenge mode requires answers to all the questions within the specific time limit, encouraging to boost speed as well as accuracy. No matter practice or challenge modes, the performance, score and every detail will be recorded in report, which is useful for learning progress monitoring. The report records assist you to find out the strength and weakness, a customized approach in abacus training can be derived as a result. Apart from doing the exercises directly on iPhone/iPad in a timed way, export both the quiz paper and the answer paper in PDF format to aid offline exercises. All questions are generated randomly to ensure no quiz paper will be identical. Print and email functions are also provided for your convenience. Product features: - English and Español support added in Aural Test - Quizzes on Flash Anzan, Aural Test, and Abacus FOUR Addition and FOUR Subtraction techniques - Practice and Challenge modes are provided in all sorts of Abacus Beads and Numbers questions. - User can customise their own set of quiz and exercise according to requirements. - Report on every quiz and exercise is available for keeping track the learning progress. - Quiz paper can be generated in PDF format. - Both Numpad and Multi-touch Abacus Interface are embedded.